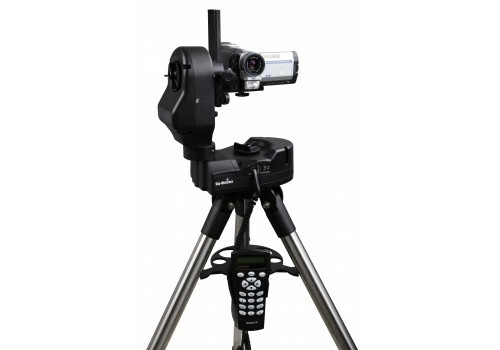 This multi-purpose computerized mount is designed and intended for a wide variety of applications such as panoramic photography, daytime viewing, videography and astronomical viewing.The AllView is capable of automatically moving to various preprogrammed positions and controls the camera shutter to take a picture at each position automatically, taking the complexity out of producing panoramic video or photographs. It also supports our latest patented Freedom Find (dual-encoder) Technology. Freedom Find™ - tracking made easy! Freedom Find (dual-encoder) on each axis allows manual movement without losing alignment or position information. With the patented Freedom Find (dual-encoder) technology which allows the telescope to be moved manually or electronically in either axis without losing its alignment or positional information. After moving to a new object the telescope will automatically begin to track the new object accurately. No re-setup is required in one observing session. 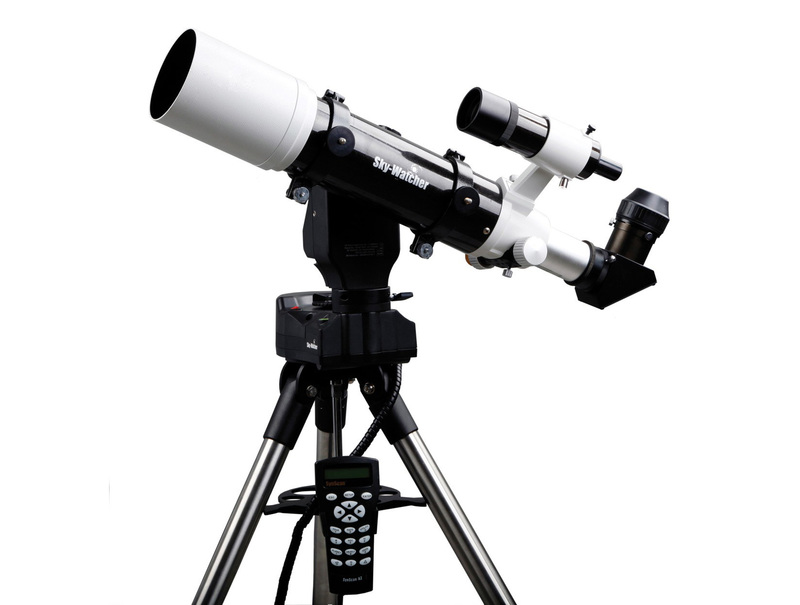 Telescopes up to 5kg can be mounted to either the 45mm dovetail or the supplied L-bracket via a standard ¼-20 tripod bush. Longer telescopes can be mounted on the outside of the mounting arm allowing complete freedom of vertical movement. The supplied Synscan handset has a database of over 42,900 celestial objects, and can command the mount to locate and track those objects automatically, allowing you to explore the night sky to your heart’s content. The patented dual-encoder design means the mount can also be moved by hand without losing alignment or positional information. In Video Coursing mode, the mount allows you to capture up to 10 hours of video between two user-determined points. The slewing speed between these points is also programmable. Similarly, in Time Lapse mode the users can choose a starting and finishing point, and a slewing time up to 10 hours between these points. This feature allows the users to capture a series of still images (up to 65,535) during slewing, and using suitable image processing software, the images can be merged to create time lapse video.